Deutsche Bank has been asked by House Democratsto provide documents to reveal whether or not President Donald Trump has any financial ties to Russia. The House Committee on Financial Services has published a letter, asking Deutsche Bank whether or not an internal review conducted by the bank showed loans made to Donald Trump were guaranteed by the Russian Government or was in any way connected to Russia. 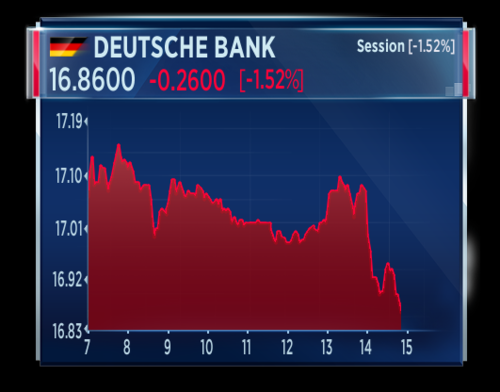 Deutsche Bank declined to comment when contacted by CNBC. Shares in the bank are now down more than 1.5 percent. First cracks in China's great wall of debt! Moody's downgrades the country's credit rating, citing Beijing's waning financial strength and rising liabilities. UK Prime Minister Theresa May deploys armed forces to key sites, after raising the country's terror threat level to "critical" as police conduct a series of raids in connection to the Manchester attack. Bad crop? US grains trader Bunge throws cold water on a report it's in talks with commodity conglomerate Glencore, which sends its shares more than 16 percent higher. 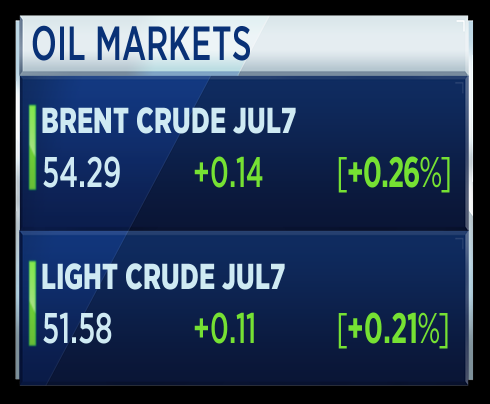 Oil prices move higher as it seems OPEC has come close to consensus on extending the output deal by 9 months. Moody's has downgraded China's credit rating one notch to A1, citing an economy-wide rise in debt. The Ratings agency says Beijing's financial strength is waning and recent reform efforts will increase its liabilities rather than spurring growth, as the economy becomes increasingly reliant on policy stimulus. Moody's arguing in its reasoning that China is not getting enough economic growth based on the rate of debt growth for the country. 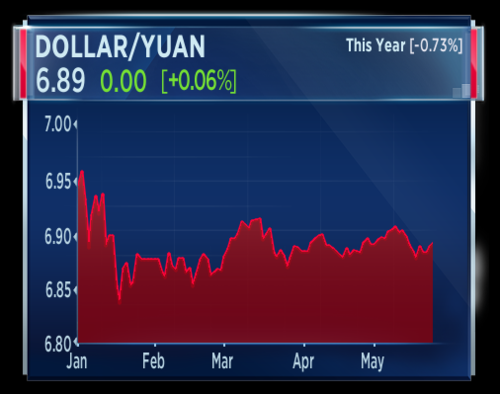 The Yuan not moving too much. 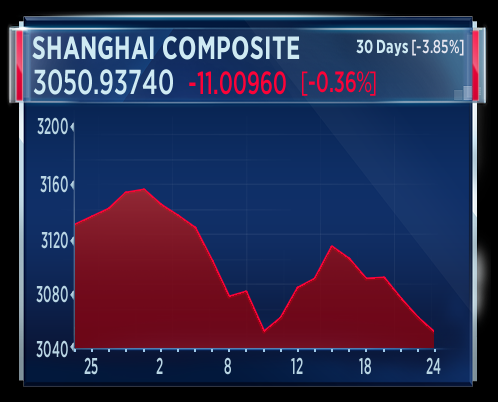 But the Shanghai Composite down by about a third of a percent. The U.K. Prime Minister Theresa May has raised the country's threat level to "critical", its highest level, warning another attack may be imminent. The British Army is to be deployed onto the streets in selected strategic areas. Dominic Simonis-Law, Principal Security Analyst at Verisk Maplecroft says Theresa May is attempting to reassure the British public with the increased measures. Simonis-Law says security forces in the U.K. are on of the best in the world but clearly we have had a tragic incident that has slipped through the net. Ride-sharing giant Uber has admitted to underpaying thousands of its New York City drivers by millions of dollars over the last two years. The company said it had been calculating its commission based on the gross fare rather than the net fare, the latter of which is its national policy. 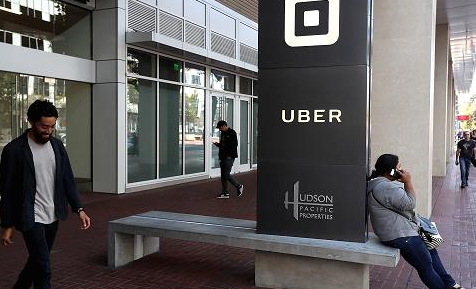 Uber said each affected driver would get a $900 hundred dollar refund, which includes interest. The Trump administration has unveiled its budget proposal to Congress, asking lawmakers to slash $3.6 trillion in federal spending over the next decade. The budget seeks more than 600 billion dollars in cuts to Medicaid, the healthcare program for the poor, and nearly 200 billion dollars in cuts to food stamps over the next 10 years. Oil prices are currently a touch higher in session. Oil settled higher on Tuesday as investors focussed on OPEC efforts to extend a cap on output. Algeria's Energy Minister said OPEC is considering a nine-month production cut extension. Speaking ahead of the cartel's Thursday meeting, Noureddine Boutfara told reporters that production caps would likely be kept consistent with the existing deal. German real estate company Vonovia has reported an over 17 percent increase in quarterly funds from operations, which is a measure of the company's earnings power. The country's biggest residential property group has also raised its guidance, thanks to the acquisition of Austria's Conwert. On the phone from New York is Stefan Kirsten, the CFO of Vonovia. 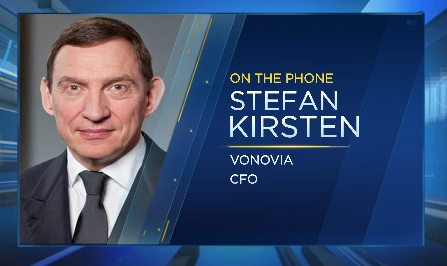 He says concerns of a real estate slowdown in Germany are fair but until the ECB raises interest rates he does not expect much pressure on the stock price of Vonovia. We are still very correlated to the 10-year bund so yes we start to suffer when real estate stocks loses its safe haven status. Is Russia complying with OPEC caps? The number of barrels that Russia has taken off the table is very similar to the 340,000 barrels that they took off in the first quarter last year for seasonal reasons. Steve then asks his guest, Amrita Sen of Energy Aspects, who says Russia does seem to be sticking to its promises with a more rigid cap in the second quarter. Sen dows warn that Russian exports have not come off, however. She also notes that Russia was expected to produce 11.7 million barrels per year but they could produce just 11 million barrels in 2017. She says that would be on track to be "flat" in production from 2016. Chinese companies invested a record $46 billion in the United States last year, this according to a report from the National Committee on US-China relations. An increasing number of Chinese firms are seeking to bolster their manufacturing capabilities in the United States, as President Donald Trump seeks to bring factory jobs back to American shores. So can Chinese companies really save money by producing in America? 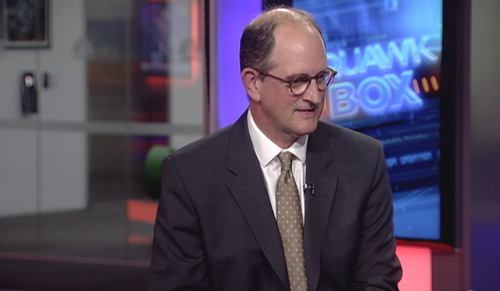 On set, our Squawk Box Europe guest host is Chris Watling, CEO of Longview Economics and is asked by Geoff what investors should do in relation to the Moodys downgrade of China's credit rating. He says the market has been aware of China's ballooning debt for some time and that has already been reflected in Chinese stock markets. 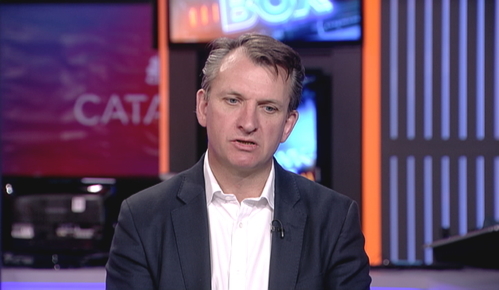 Watling says it is the biggest debt build-up relative to GDP that he has seen in his career. It's a troubling situation. It is clearly too much debt and at some stage, it will become a real issue and I think the financial system is the place to focus. Vedanta Resources said it's looking at next year's full year results with more confidence after posting an increase in revenue in 2017. 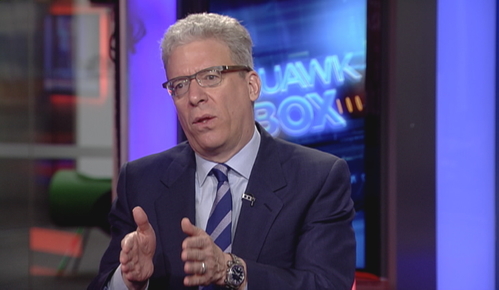 Tom Albanese, CEO, Vedanta Resources is with CNBC exclusively and says he is looking down the track with confidence. He says although commodity prices have been falling they are up year-on-year. There are concerns about where China is going but overall demand is up and the supply crunch is coming, so prices should rise. 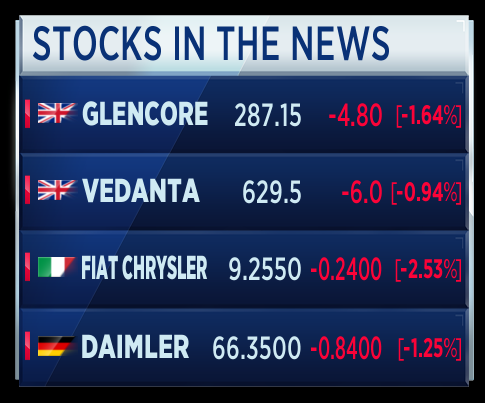 Albanese says steel production is not that bad as China acts as a swing producer of iron ore.
Albanese says India is strong for Vedanta as the company produces a lot of the resources that the country is hungry for. He says copper prices have struggled as the demand question has been raised, particularly in China. However, Albanese argues people are starting to realize that the supply chain of copper is starting to look a little uncertain as mines become older. 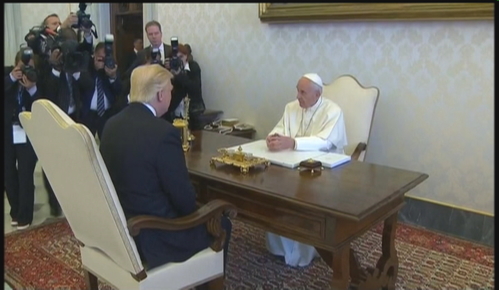 President Trump has just arrived to meet with Pope Francis in the Vatican. If you look at the IEA forecasts, demand is growing . I think the oil price can move higher and if producers can maintain these OPEC cuts, I would be a bull of oil in the medium term. Watling also argues that energy majors have been oversold to an extent and that might offer a possible trade. British Interior Minister Amber Rudd expects the 'critical' terror threat level to be temporary. That's according to Reuters citing Sky. The minister says military reinforcements will remain under the command of the police and the country will stay at heightened state of alert until we know this investigation is no longer active. Meanwhile, British police say increased police numbers and operations across London with immediate affect. Moody's Investors Service has downgraded China's credit rating to A1 from Aa3, changing its outlook to stable from negative. Moody's downgraded China's rating to A1 from Aa3 and changed its outlook to stable from negative. Moody's said China's economy-wide debt levels were expected to increase further in the years ahead, with reforms only likely to slow the growth rate. It estimated the government debt burden would rise toward 40 percent of GDP by 2018. China's finance ministry didn't agree with the move. In a statement on its website, the ministry said the downgrade was based on an "inappropriate method" and that Moody's was overestimating the difficulties China's economy faced while underestimating the government's efforts to tackle structural reforms and overcapacity. Macquarie noted this was the first time a ratings agency downgraded China in 25 years and the first time in seven years that one of the Big Three agencies have changed their rating. It said the move brought Moody's rating in line with Fitch. "This news is a clear China negative in our view (even though the rationale for the downgrade contained nothing new)," Macquarie said in a note on Wednesday. The top 600 listed stocks in Europe have averaged out fairly flat in the first few moments of trade. Perhaps unsurprising after the Moody's downgrade of China that Basic Resources occupies the bottom spot of sector performance. 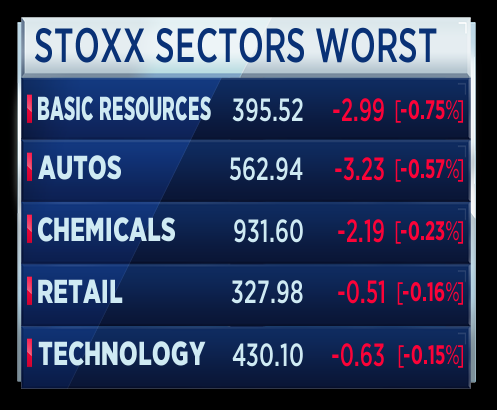 Basic Resources now dipping negative for the year. 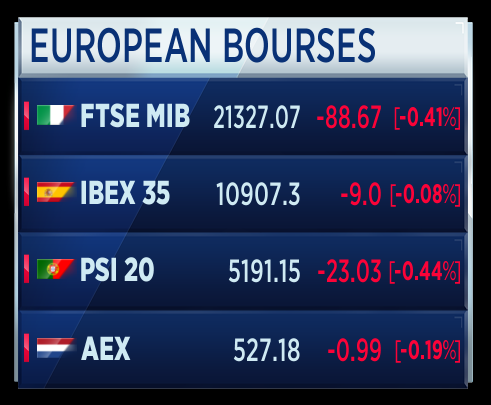 The European bourses look like this on an individual basis. The continent's bourses all drifting lower. Glencore's agricultural arm has made an informal takeover approach for Bunge, the US grain trader with annual revenues of over $40 billion. The deal talk propelled shares in Bunge 16 percent higher in yesterday's session. However, the American firm said it was not engaged in takeover talks and that it was committed to executing its existing strategy. Vedanta Resources said it's looking at next year's full year results with more confidence after posting an increase in revenue in 2017. Core profit also rose over 36 percent due to stronger commodity prices. Earlier we spoke with the CEO of Vedanta Tom Albanese who commented on his Chinese business. The US Government has filed a lawsuit against Fiat, accusing the carmaker of emissions violations. According to the DOJ, Fiat has cheated emissions tests by deliberately using software to skirt controls on over 100 thousand vehicles. It could now face a fine of over 45 thousand dollars for each affected vehicle sold before 2015. The carmaker denies wrongdoing. 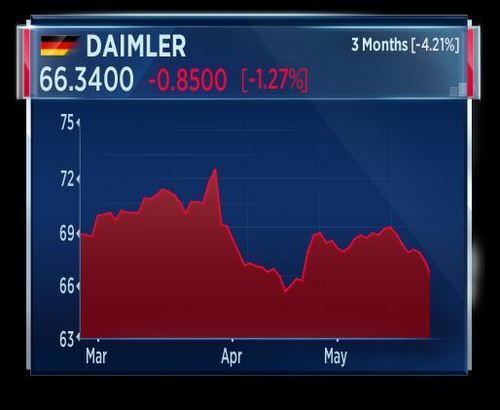 German police have raided a number of Daimler's offices as part of a probe into possible diesel-emissions fraud. The German automaker said it's cooperating with prosecutors and added that "well known and unknown employees" are under investigation. Daimler also said that the investigation partly relates to criminal advertising as the environmental values of some cars might have been exaggerated. We are positive on Europe. We are not alone in being positive on Europe. 60-70 percent fund managers are overweight Europe at the moment so that's always a slightly worrying signal. The data coming through this week, we have the PMI data, the IFO - all strong. The world was euphoric this week. The European economy is looking in good shape. The valuations have risen but still some way to compared to US valuations. Things have improved a lot from a very poor situation. What worries me about Europe is it has become a crowded trade. It is fund manager's favourite trade. I am concerned, the time to move overweight Europe is done. You should be shifting back to the US. 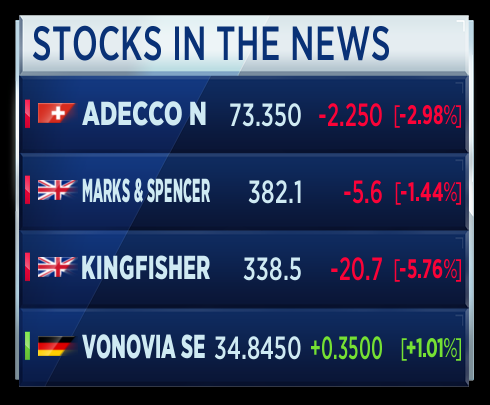 Credit Suisse has cut Adecco's credit rating from outperform to underperform. The staffing firm's target price was also cut from 75 to 63 Swiss Francs. M&S's annual profit fell 10 percent while quarterly clothing and homeware sales also dropped almost 6 percent. This after posting the first revenue increase in sales in almost 2 years during the last quarter. A weak performance in France has dragged down Kingfisher's first quarter sales. The home improvement retailer, which said it was cautious about prospects in the country, posted a zero point 6 percent drop in sales from stores open for more than a year. German real estate company Vonovia has reported an over 17 percent increase in quarterly funds from operations, which is a measure of the company's earnings power. The country's biggest residential property group has also raised its guidance, citing the acquisition of Austria's Conwert. The U.K. has criticised the U.S. for its handling of sensitive information following the suicide bomb in Manchester on Monday evening. American officials have been rebuked for leaking the identity of the Manchester bomber before British police officially named him. The British Interior Minister Amber Rudd has said it was "irritating" that details about Manchester bombing investigation were leaked and that they have been "clear with friends" that it should not happen again. Negative interest rates have been an effective monetary policy tool, according to the ECB's executive board member Benoit Coeure. Speaking at the Paris School of Economics, Coeure said analysis by the central bank had shown that there was no reason to "change the indications given." The comments come as the ECB gets set to release its latest Stability Report. The European economy is picking up, inflation is going back up at 2 percent so the time has come for some easing back. It's not what happens to the interest rates but when the balance sheet starts to unwound. It has the potential to destabilize markets. Today we are looking into financial stability at the ECB. 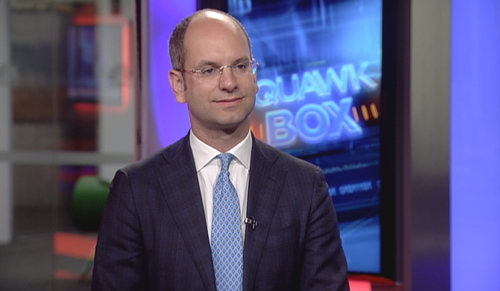 Last time they were talking about systemic risks and the level for systemic risks in the euro zone is very low and the biggest risk might come from financial contagion, they were meaning repricing of equity markets and bond markets. That is the biggest risk they have seen so far in December. 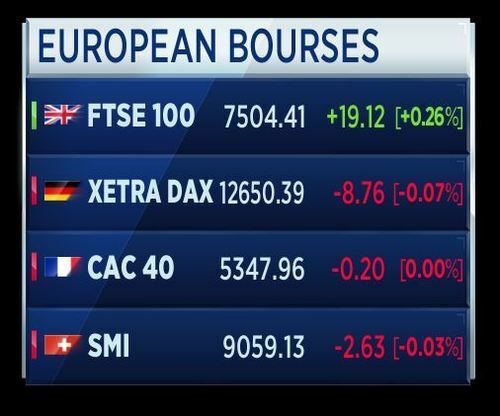 A reminder of the top news as the trading day gets into its stride in Europe. 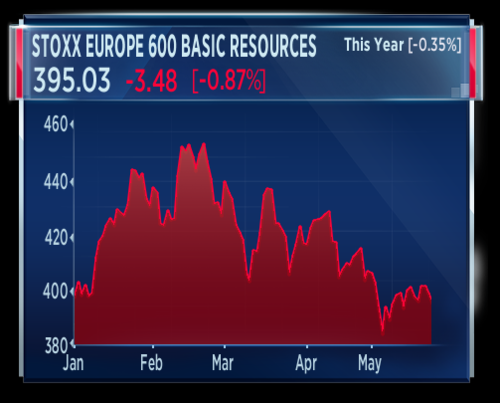 Concerns over excess iron ore supplies coupled with China's credit downgrade chip away at Europe's mining stocks. Merger talk sends Bunge shares more than 16 percent higher, but the US grains trader denies reports it's in talks with commodity giant Glencore. Legacy issues hurt like-for-like sales for two of Britain's top retailers. France still provides a headache for Kingfisher with sales down over 5 percent while clothing weighs on M&S. 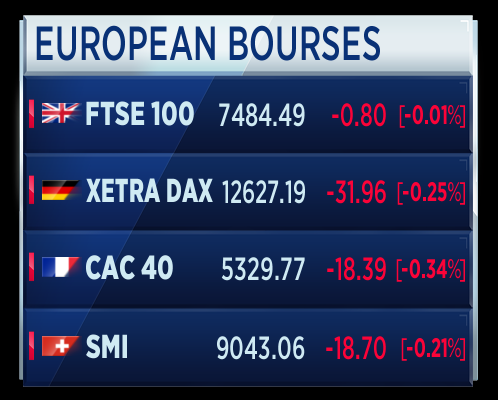 Karen runs through the biggest stories related to European stocks this morning. Click or tap play to hear her report. I think it is right to say OPEC matters and it matters for the inventory half in the next six months. And the inventory path will determine the forward curve of oil. Where we think OPEC has lost all pricing power is beyond six months and for me the perfect example is what happened since November. In November, OPEC cuts takes away from the market about 1.3 million barrels per day. Within three months, in the U.S. the industry commits to another 400 oil rigs. OPEC's medium term pricing power is zero. OPEC's ability to change the shape of the forward curve is there because in November we had almost a 10 percent discount between spot price vs forward price. Today the discount has come to zero. Shares in aerospace groups Safran and Zodiac, whose merger plans have been criticised by some investors, were suspended on Wednesday. That's according to Reuters. A Safran spokeswoman said Safran would issue a statement later in the day, but declined to provide further details. Officials at Zodiac could not be immediately reached for immediate comment. The police service serving London has issued a statement in regard to tightened security across the capital. Yesterday, The Prime Minister Theresa May has raised the country's threat level to "critical", its highest level, warning another attack may be imminent. Police Commander Jane Connors said the police in London stand ready to use firearms. The reality is that we must be prepared to be able to respond to and deal with armed and deadly attackers, so we must be in a position to respond with firearms officers who will use force to stop those attackers in their aim. That is why is we have increased the number of firearms who are on duty, both out walking and in roaming patrols, at fixed points and carrying out a range of operations. "Whilst some of what we are doing will be obvious to the public there is a huge amount of work happening day and night that the public will never know about. As we had to the end of Squawk Box Europe our guest host is asked of China and its ballooning debt, " Why can't they just print more money?" 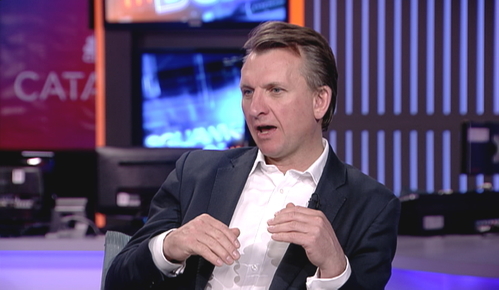 Watling says China faces an "economic trilemma". You can't monetize as a sovereign nation if you manage your exchange rate as well. And then there is pressure coming from the countries you trade against who manage their own interest rates. A potent combination! Concerns over excess iron ore supplies coupled with China's credit cut chip away at Europe's mining stocks. Bad crop? Merger talk sends Bunge shares more than 16 percent higher, but the US grains trader denies reports it's in talks with commodity giant Glencore. The British government deploys nearly 4000 soldiers on the streets of the UK, after raising the country's terror threat level to "critical" as police conduct a series of raids in connection to the Manchester attack. Financial stability risks in the euro zone are contained but remain significant and have even increased in some areas over the past six months, the European Central Bank said in a regular stability review on Wednesday. Concerns over debt sustainability have risen, while the clean up of the banking sector is slow and the risk of a sudden repricing in bond markets remains significant, potentially leading to major capital losses, the ECB said. The warning comes as the euro zone is enjoying its best economic run in a decade, raising expectations that the ECB could soon start to unwind its massive stimulus measures. Risks to euro area sovereign debt sustainability have increased over the past six months, the ECB said. In recent weeks, however, euro area spreads narrowed and sovereign stress conditions improved somewhat following the result of the presidential election in France. German police have raided a number of Daimler's offices as part of a probe into possible diesel-emissions fraud. The German automaker said it's cooperating with prosecutors and added that "well known and unknown employees" are under investigation. Daimler also said that the investigation partly relates to criminal advertising as the environmental values of some cars might have been exaggerated. 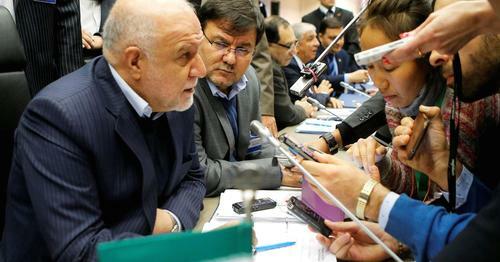 Iran oil minister Zanganeh says OPEC production ceiling will continue but not clear whether for three, six or nine months. The minister says has not been asked yet to join cabinet of Rouhani. The minister has also said that Saudi Arabia is trying to drive up oil prices. That's according to Reuters. France plans to extend state of emergency to November 1 and plans to prepare new security measures and legislation in coming weeks. That's according to an official statement from the French Presidency. 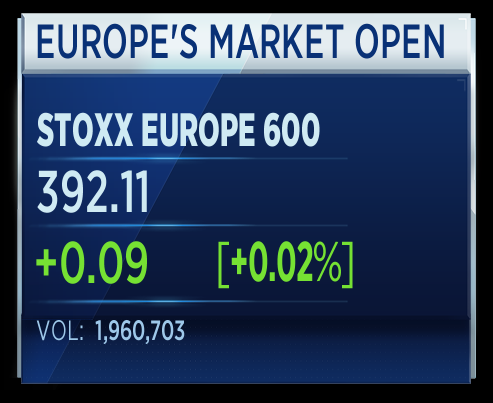 European markets trade lower, extending the losses seen in Asian markets, after Moody's downgraded its credit rating for the world's second-largest economy China. ECB's Praet says upswing is becoming increasingly solid and continues to broaden across sectors and countries. Praet says in June, the Governing Council will draw on the latest information and will have new projections as well as an updated assessment of the distribution of risks surrounding the economic outlook. Praet says still need to create a sufficiently broad and solid information basis to build confidence that the projected path of inflation is robust, durable and self-sustained. That's according to Reuters. 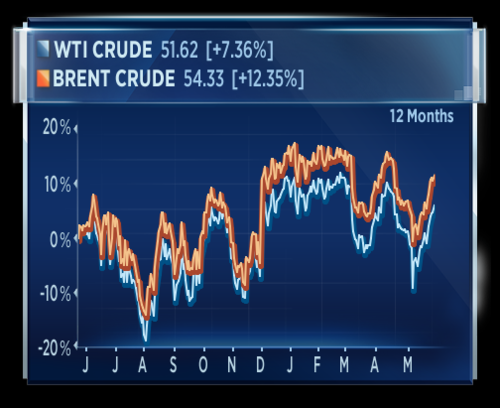 Oil traders are eagerly anticipating an extension to OPEC's production cut this week, but one analyst has told CNBC that comments from the oil cartel could be just as powerful in propping up the price of the commodity. A lot depends on this meeting, at least in the wording, Amrita Sen, chief oil analyst at Energy Aspects, said Wednesday when asked whether oil could surge to $60 a barrel after OPEC's meeting on Thursday. 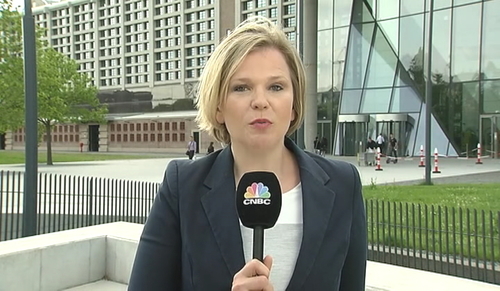 CNBCOil traders are eagerly anticipating an extension to OPEC's production cut this week, but one analyst has told CNBC that comments from the oil cartel could be just as powerful in propping up the price of the commodity. The euro zone housing market is not overheating but there are pockets of elevated prices which require attention, especially around major cities, European Central Bank Vice President Vitor Constancio said on Wednesday. Such increases should be carefully monitored as they can have a ripple effect on prices in the rest of the country, Constancio added. The ECB warned earlier on Wednesday that prime commercial property prices had departed further from their long-term average and continue to see strong increases. Thus, a close monitoring of regional residential real estate price trends seems warranted, as they may provide an early indication of a potential build-up of vulnerabilities in housing markets at the national level, the ECB said. Britain's parliament said on Wednesday it would close to the public with immediate effect due to an increased security threat after Monday's suicide bomb attack in Manchester. That's according to Reuters. "As a consequence all tours, events and banqueting will be cancelled with immediate effect. This arrangement will remain in place until the advice changes," the parliament said on its website.